Day 42. Post a Day 2011. These kids are my nephews and nieces. The photo was taken in 2004 in one hotel's parking lot in Solo. We were waiting our cars to bring our back to our home in Bandar Lampung. While waiting, I had my cellphone and snapped their picture. They were cute, weren't they? 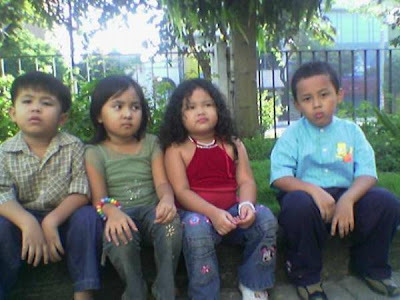 By the time the photo was taken, Haikal was five years old, Jihan was seven, Dewi was four, and Fajri was six years old. And now seven years have flown by. Time goes so fast. Now, they're grown ups and become teenagers. They start to know what love is and crush on their friends. Even Jihan now has boyfriend at the age thirteen! My oh my... Kids these days grow up so fast. Oh, God, now I miss times when they were kids and younger than they are now. They were so cute. I wish I could stop time and never let them to grow up. I want them to be kids forever. I know, I know, that's selfish. By the way, yesterday my youngest niece, Salwa, asked me why I didn't go home. She asked twice! One when she woke up in the morning and another one when she asked in the afternoon. She called me and said, "Uncu, why you don't go home? Don't forget to bring donuts, please. And chocolate, too!" And this morning, my father called me and said that Salwa had asked about me again. Dear God, now I terribly terribly miss her. Do You know what I truly want right now? 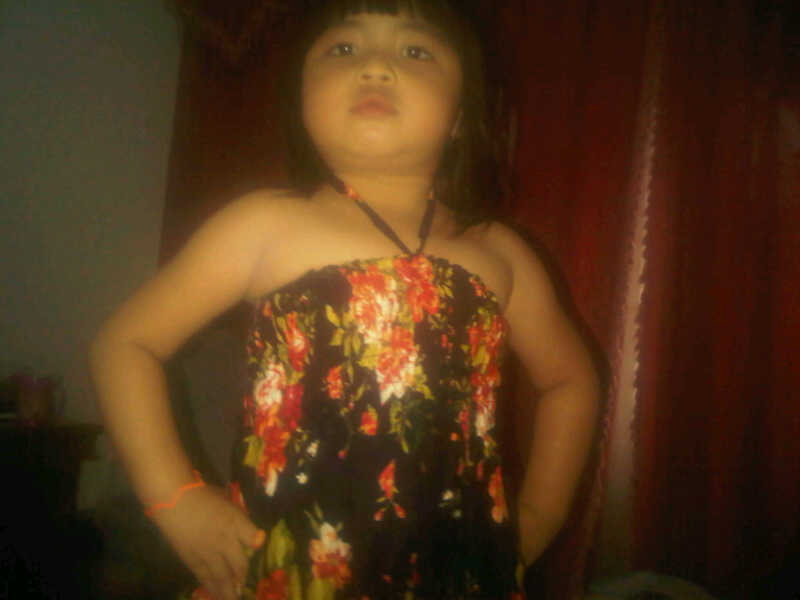 I want to be in my home and play with Salwa. Please, God, make it happen soon. Thank You, God.